comparison to strength and speed of construction. Sustainable development meeting the needs of today without compromising the future of our next generations . Proper planning is a key aspect, when designing your home, office or any other construction project. Quality eco block construction products are as important as proper planning and designing. Appropriately designed buildings with environment-friendly, insulated building systems ensure greater well-being and superior energy efficiency. This is exactly what we provide at Polycon Structures. An R-Value of 3.78, thereby offering superior thermal insulation. 180/180/180 Fire Rating that signify increased fire resistance periods satisfying the structural adequacy, integrity as well as insulation, respectively. 6 Star Energy Rating Plus, which ensures enhanced thermal performance. Compliant with Building Code of Australia. Our product portfolio includes Eco Block, QT Eco series wall panels, Ventis Home Ventilation System and polystyrene cladding needs. Our range of flame-retardant expandable polystyrene (EPS), are highly insulating, robust and light weight building systems. These building systems not only provide superior energy efficiency, but also speed up the pace of your construction. The costs of heating and cooling can burn a hole in your pocket if you do not plan for energy-efficient homes. 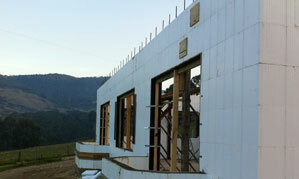 Therefore, building homes with insulating concrete forms helps you in saving huge on your energy bills. Meeting all the Australian Building Codes, our building systems ensure superior energy conservation. By integrating the benefits of lower air infiltration and better thermal value, our products provide higher thermal benefits. Aimed to offer superior construction solutions, we provide environment friendly, insulating building systems, which are highly sustainable, cost effective, reduce energy consumption as well as provide comfortable indoor living environment. Besides, the real estate value of energy-efficient buildings will also shoot up. There are no limits to design possibilities, with our products. Whatever your requirements are, we are equipped to provide you with top-quality energy-efficient building systems. Our professionals can help you in designing any type of construction projects. We will first understand your requirements and then explain how you can benefit from our products. At Polycon Structures, we strongly believe in preserving our environment. In addition, we feel that sustainable developments should always meet the needs of today, without depleting the resources on which our future generations are dependent. Therefore, by using our building systems, you too will make a conscious choice of preserving our environment. Besides, being light in weight, our building systems can be quickly installed. This means, you can save huge on your building costs and time. Get a step closer to build energy-efficient buildings by calling us on (03) 9877 9608. 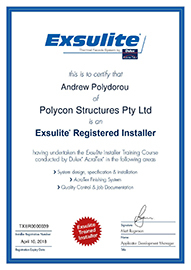 You can also email at enquiries@polycon.com.au or post your queries online. We are happy to assist you. Concrete makes a durable solution for walls and floors. This makes it a great choice for different types of domestic construction projects. Right from multi-storey apartments to individual concrete houses, using concrete products makes a sustainable option. Concrete panels are strong and durable building materials, Furthermore, concrete homes require minimal maintenance. Concrete structures are highly sustainable when compared to other structures as they use 25% less natural resources. Insulated concrete forms offer superior thermal efficiency; this helps you in creating energy-efficient homes. Concrete is highly resistant to fire and floods. In addition, they do not distort, rot or shrink. With the advancement in technology and its structural integrity concrete can be engineered to meet your structural needs. At Polycon Structures, we have experienced and knowledgeable professionals who will assist you in choosing the perfect option for your constructional needs. Call us now to get your concrete home built. In case of any queries, please feel free to drop a email to enquiries@polycon.com.au. You can also directly reach us on (03) 9877 9608. 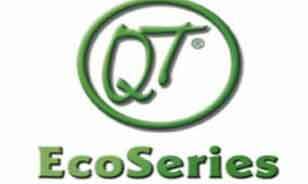 The QT®EcoSeries Wall Panel offers a solid substrate which can accommodate a wide range of finishes, high thermal insulation and fire resistance. Exsulite-EPS is suitable for residential building projects. It can also be used as a remedial facade system for renovation projects. When planning a new home, consider the greater well-being that could come from living with a more even temperature, no drafts, much quieter home. Our environmentally friendly insulated building systems, are sustainable to the environment, reduce energy consumption, cost effective and provide comfortable indoor living environment.